Volleyball Setting Drills - How to Set Up Timing with Hitters? These volleyball setting drills tips focus solely on the timing between hitters and setters. To check out how to set up these volleyball drills, go to other Volleyball Setting Drills pages. How to set up the timing for the outside hitters? 1. A good "ball park estimate" for the correct timing in outside hitting is to place left foot on the ground (for RIGHT handed hitter) when the setter has the ball - when having a faster tempo set. 2. Next the player performs the plant (right foot and left foot on the ground) and takes off the ground to swing the ball. Notice this just gives the player an idea about timing - naturally every player performs the approach little bit differently. A left-handed player naturally performs it as a mirror image. If the tempo is slower and the setter delivers a higher set this right handed hitter has plenty of time to place their right foot on the ground when the setter contacts the ball. It is followed by left foot - and the plant (right-left) to jump up to the air. If you have forgotten the basics of the approach and what is the plant, go and check out those in the "basic skills" section. You can also get a complete report "spiking secrets" by ordering our free newsletter. Faster outside sets may actually become easier for the setter!! This next could be hard to understand, unless you are a setter yourself. Cooperation between outside hitter and setter is usually much harder with the fast sets, because of the timing issues - especially if the hitters are used to hit slower sets. However, if setter has ability to read the hitter and change the tempo of the set (slowing it down, or fastening it up according to the player), setting fast gives "more control" to the setter. Setter may feel s/he has more control because with the faster sets the setter will see the player approach in the "peripheral vision." (Peripheral vision is a part of vision that occurs outside the very center of gaze. In other words: when you're looking at the ball, at the same time you're able to comprehend and "see" what happens elsewhere). The coach should learn to give constant feedback to the setter during drills and help the setter to become a player who can elevate the teammate's game by changing the tempo of the set. To conclude, if coach is having a skilled setter in the team fast outside sets will give setter more "power". With fast outside sets setter is able to fix timing issues of the hitters. As a setter I felt totally confident setting a fast outside ball when I saw the player approaching and getting ready to take off her left foot placed near 10 feet (3 meter line). 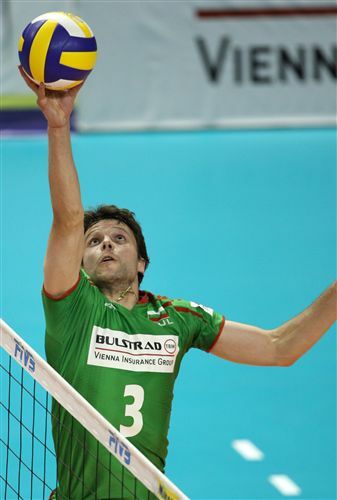 When the setter sees the player approaching, s/he feels more comfortable setting the ball there. Therefore when running volleyball setting drills and practicing fast outside sets, hitter's most important job is to be seen there. 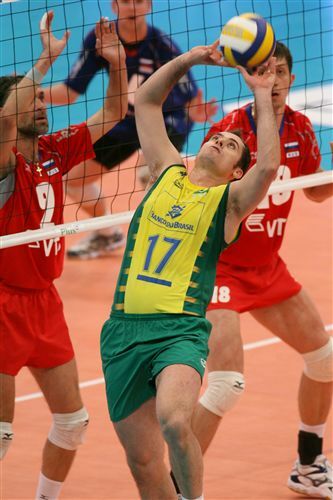 Experienced setters know how to fix timing issues by changing the tempo of the set. Setters should focus on changing the tempo according to the approaching player. 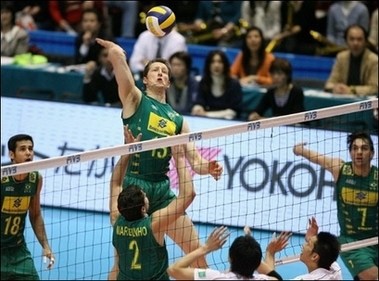 With a skilled setter perfectly correct timing by the hitters is not that important. Setters should focus on learning to fix hitter's timing issues - helping teammates to elevate the level up, making them better players than they actually are. Hitters just need to worry about to be seen in front of setter and being ready to hit the ball. 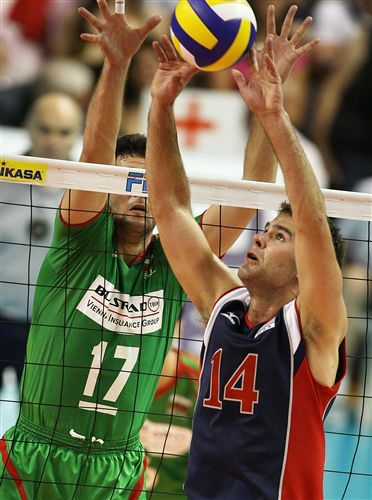 When a skilled setter sees the hitter, s/he will take care of the timing and puts of the ball to the hitter's hand. If you have the fast outside set on and the setter doesn't see the outside hitter in position to jump, it often causes timing issues and insecurity between the players. When setter doesn't see the hitter, setter tries to slow down the set - then both the hitter and setter may become confused how to make timing happen next time. It is very important to communicate between the rallies when the timing has been off. When the player is there to hit the ball, s/he could always communicate "yea, yea, yea" to let the setter know s/he is there or coming there to swing the fast ball. Outside hitter can call "no, no, no" if s/he is not going to be there to swing the ball at all. Or "big, big, big! ", if s/he is there to swing the high ball only. Volleyball Setting Drills - How to play a faster offense?